We are using this opportunity to see if there are any improvements we can make to how we use our airspace to make it as efficient and environmentally-friendly as possible while minimising noise impact for communities. Our current flight paths were designed in the 1960s and while aircraft technology has improved dramatically, the airspace design needs to be modernised. Our designs have placed the proposed flight paths as close to today’s flight paths, or away from more populated areas wherever we can. 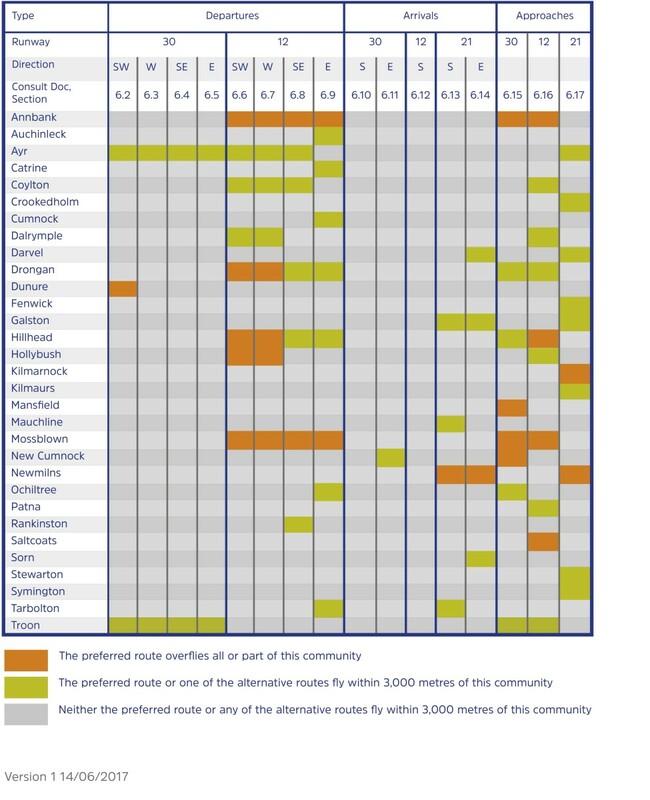 This chart below indicates towns and villages that are closest to the routes under review. While this could help identify the routes you wish to comment on, please do review the full consultation document in order to make an informed assessment. Copyright © 2017 Glasgow Prestwick Airport Limited. All rights reserved.